Disc: Black label, dog near top. 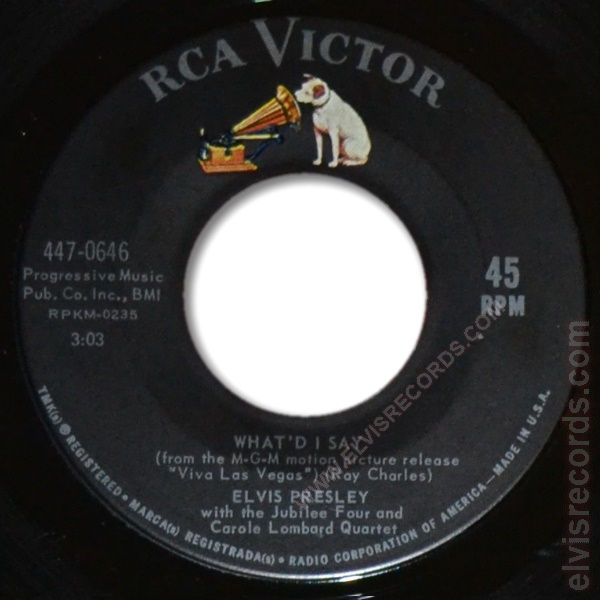 RCA CORPORATION OF AMERICA on bottom. Large font. Disc: Black label, dog near top. 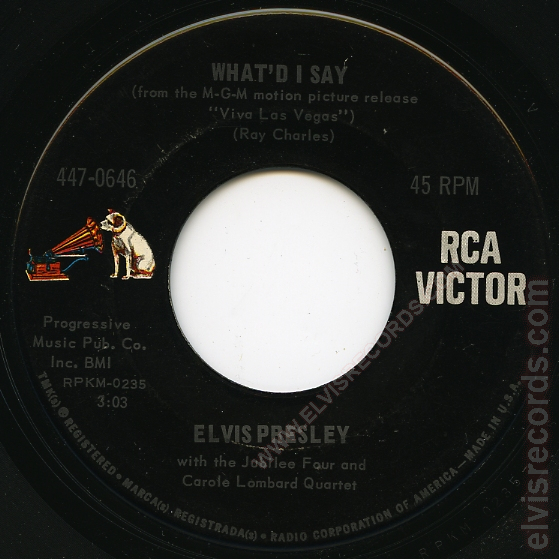 RCA CORPORATION on bottom. Small font. 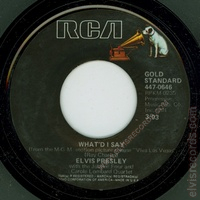 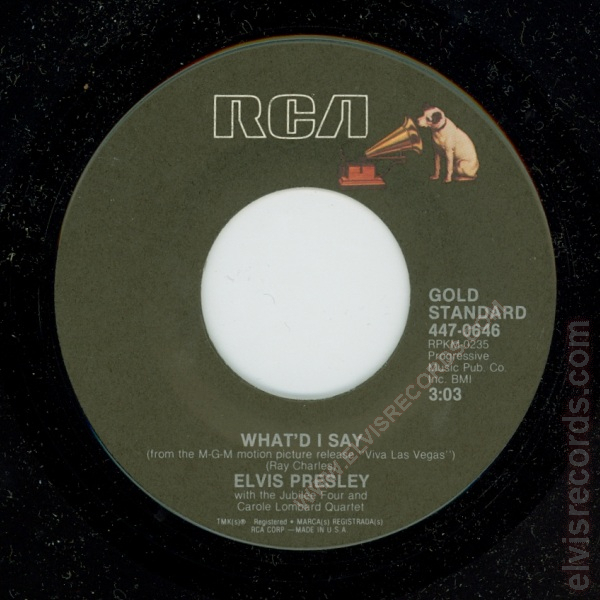 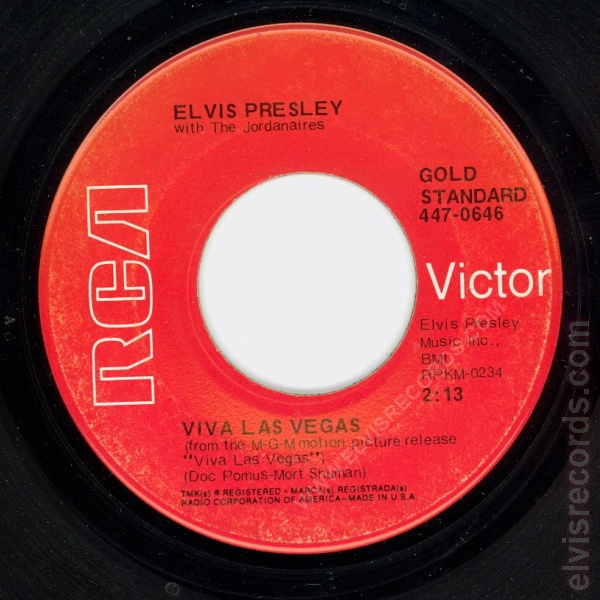 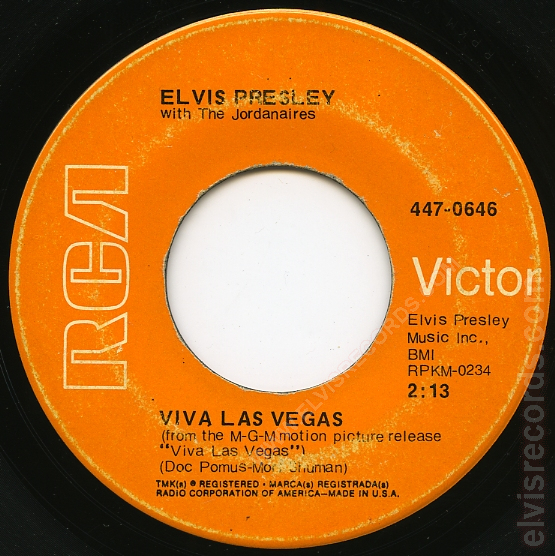 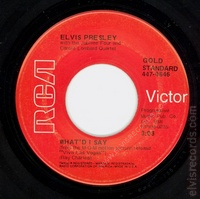 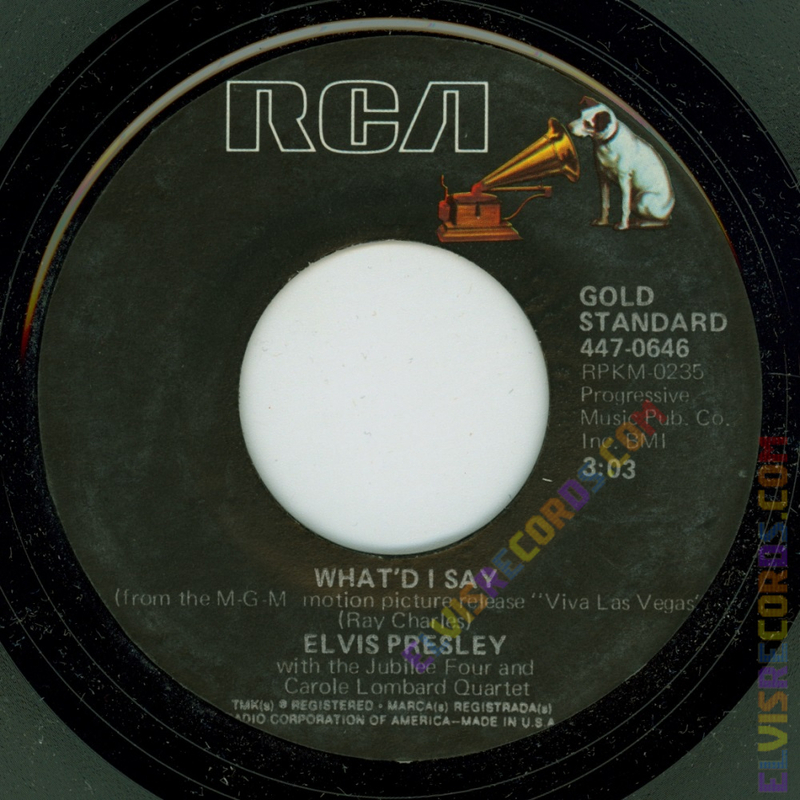 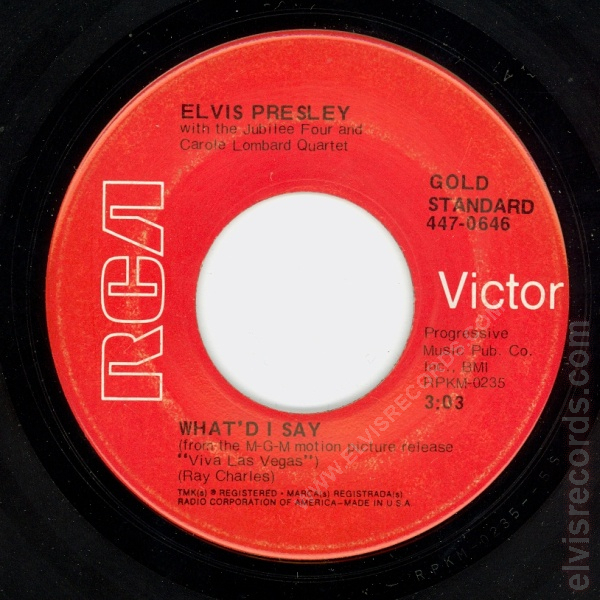 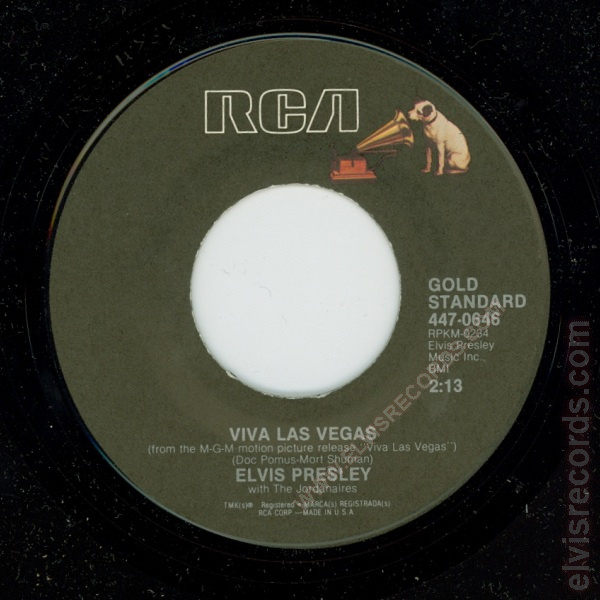 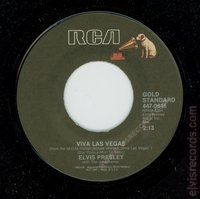 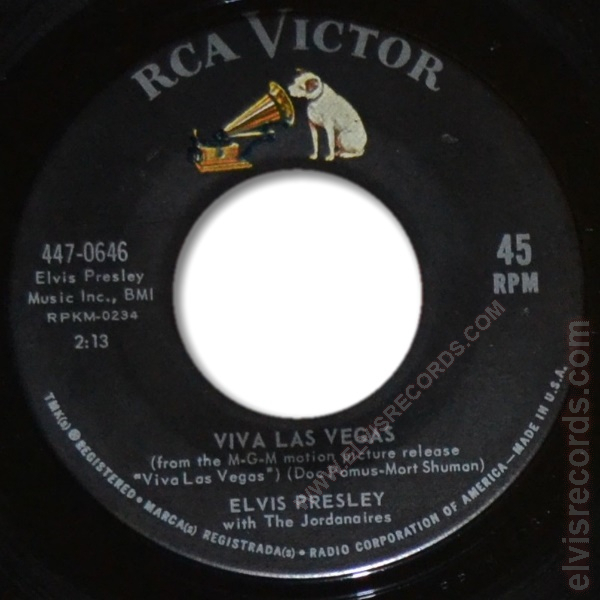 Originally released by RCA Records on as Viva Las Vegas / What'd I Say.